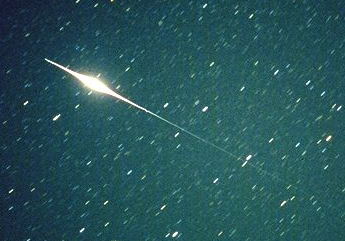 Iridium Flares. The Iridium Corporation operate a network of over 70 satellites, which are continuously being replaced. These allow the use of the company’s satellite phones from anywhere on the planet. 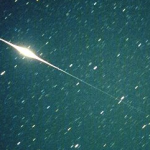 But from our point of view, these satellites have antennae which are particularly reflective and therefore produce the brightest satellite flares. In fact they are so bright and there are so many Iridium satellites, that satellite flares are usually referred to as Iridium flares. For a private company this is a very good marketing technique. Satellite Flare Prediction. Thankfully people have gone to the trouble of using computers to predict these flares in advance. The models they have used can predict the occurrences, and brightness, to the nearest second for days in advance. From my experience the predictions are very accurate, although to be honest I would only look at the very brightest flare and then not that often either. All the information is available on the German Heavens Above website, click the name to be directed to it. However you must set your location as accurately as possible on the site first. This is because each flare is only visible from a 10 km strip of ground on the earth at a time, and the brightness varies within that small strip also. A database of every satellite in orbit and predictions of when they are visible from your location. The locations and brightness of all visible asteroids and comets. Predictions of when and where the International Space Station (ISS) is visible in the sky. A daily track of the orbital height of the ISS for the proceeding year. This is worth looking at, I was surprised how quickly its orbit decays and has to be re-boosted. My personal favourite part of the website are the charts detailing the current locations of all the spacecraft currently existing the Solar System. The ‘Heavens Above’ is a great site .. I’ve never seen a Iridium Flare or Satellite Flare ! – but I will ..some time ..